Assisting the Chief Executive Officer in the discharge of his overall responsibility for the day-to-day management of the Group is the Executive Committee (“Exco”). 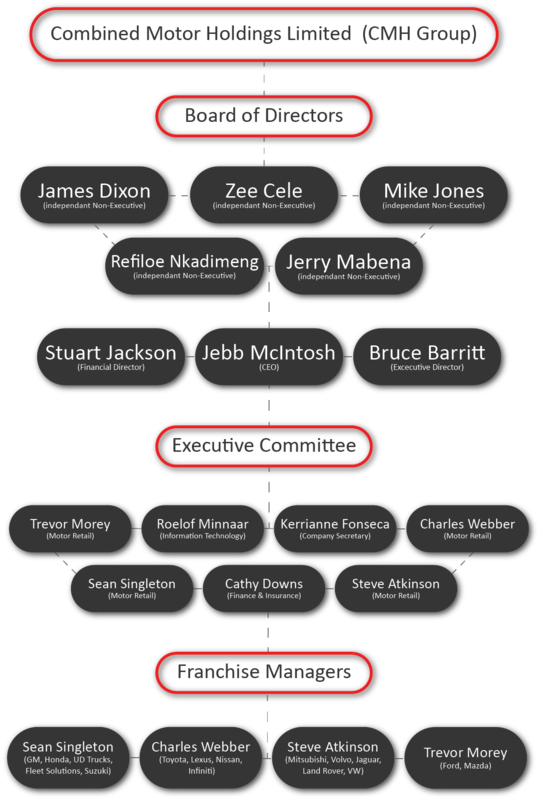 Exco is comprised of the executive directors, Jebb McIntosh and Stuart Jackson, and the other members listed below. The Exco members represent the key management of the Group. Their wide range of complementary skills, together with their years of experience in their particular fields of expertise, justify their selection to Exco.